Get a feeling for the romance and excitement of the coming of the railways by taking a trip on a steam train out to Metro-land. 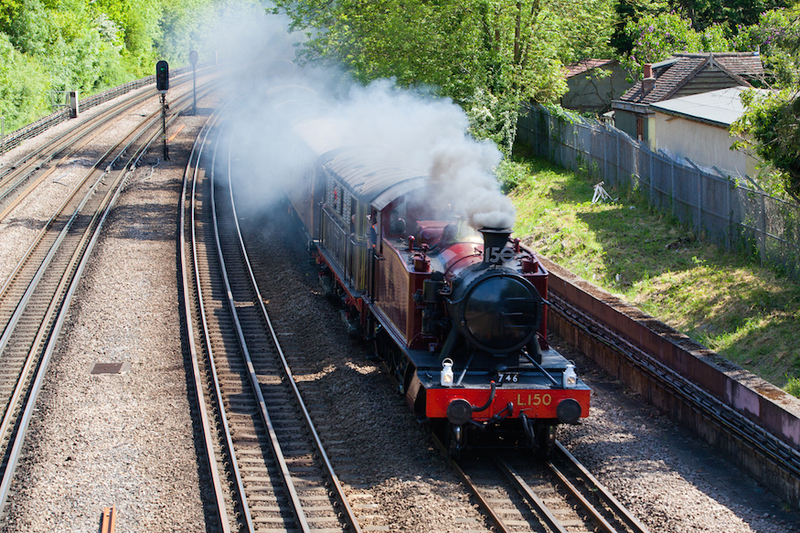 London Transport Museum is running heritage train trips on the route between Harrow-on-the-Hill, Watford and Chesham on the weekend of 12 and 13 September. Popping up on the platform at Watford station is a vintage tea room; here you can add flavour to your 1930s nostalgia trip to with tea in pretty china cups brewed in beautiful pots and slices of Victoria sponge, accompanied by tunes played on old gramophone records. How utterly charming. Choose from train rides only, or a 'Steam and Tea' ticket but don't delay — tickets for this very special day out are limited. Tickets range from £20 to £35 for adults and £10 for children for the Vintage Summer Steam event. The combined Vintage Summer Tea and Steam tickets range from £30 to £45 for adults and £20 for children. The Tea and Steam ticket entitles customers to a slice of cake and pot of tea each. Get tickets at London Transport Museum website.